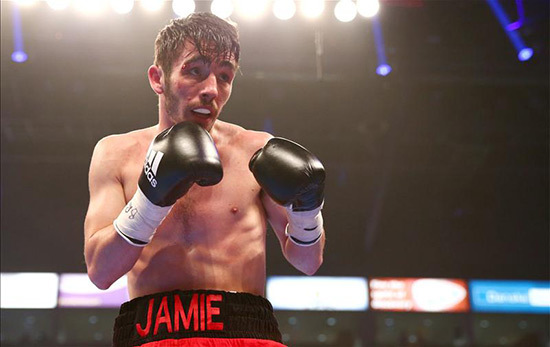 Red-hot Belfast super-flyweight Jamie Conlan will take on South Shields’ Anthony Nelson for the Commonwealth Super-Flyweight Championship on the undercard of Billy Joe Saunders first world title defence against Max Bursak at the Copper Box Arena on April 30, exclusively live on BoxNation. Conlan, 29, is a former WBO European Champion and currently holds the WBO Intercontinental title along with a number five world ranking in the organisation. The Irish hero will be looking to prise the Commonwealth belt from the undefeated Nelson on his quest to become a world champion. “I grew up watching a local guy from my area called Eamonn Magee become Commonwealth Champion and it’s always been a title that has stood out for me. I’ve always wanted to get it around my waist before moving onto bigger things,” said Conlan. Known as ‘The Mexican’ for his thrilling, all-action, style, Conlan has established himself as a fan favourite and is promising another knockout performance against Commonwealth Champion Nelson. All-action Conlan is undefeated in 15 fights with 9 knockout wins and is putting in the hours out in Spain ahead of his debut fight at Stratford’s impressive Copper Box Arena. 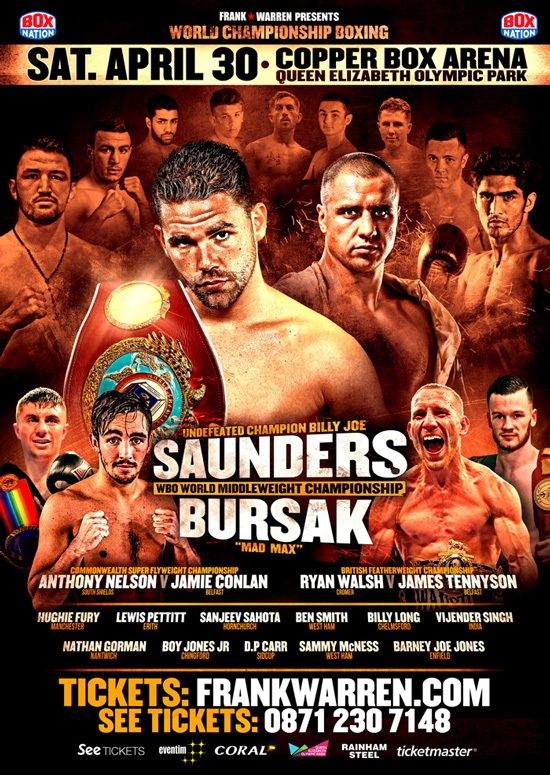 Knockout merchant Conlan was ringside at the Liverpool Echo Arena earlier this month to witness rival super-flyweight Paul Butler beat Mexico’s Sebastian Sanchez inside nine rounds to claim the Vacant WBO Intercontinental Super-Flyweight Championship. A blockbuster showdown with the Ellesmere Port start is still on the wish list for Conlan. He said: “It’s a fight that has to happen. We both want it and it’s a fight that makes sense. I’ve always seen myself as the winner; I believe in my ability. He’s a great fighter and you don’t become a world champion for no reason but I 100% believe in everything I do and I believe that I’ll have an answer for everything he brings. WBO World Middleweight Champion Billy Joe Saunders makes the first defence of his title against “Mad” Max Bursak and headlines an action-packed card that also features: The Vacant European Cruiserweight title between Ovill McKenzie and Dmytro Kucher; Ryan Walsh defends his British Featherweight Championship against James Tennyson; Anthony Nelson defends his Commonwealth Super-Flyweight Championship against Jamie Conlan. On the undercard fast rising undefeated heavyweight sensation Hughie Fury, Erith super-bantamweight Lewis Pettitt; Chingford super-featherweight Boy Jones Jnr; Indian middleweight sensation Vijender Singh; Chelmsford super-middleweight Billy Long, West Ham super-welterweight Sammy McNess; Sidcup super-featherweight D.P Carr; West Ham super-lightweight Ben Smith; Hornchurch super-lightweight Sanjeev Sahota; Nantwich heavyweight Nathan Gorman and Enfield super-middleweight Barney Joe Jones, all feature.